The Razer Kraken Tournament Edition is the latest and greatest gaming headset from our friends over at Razer. 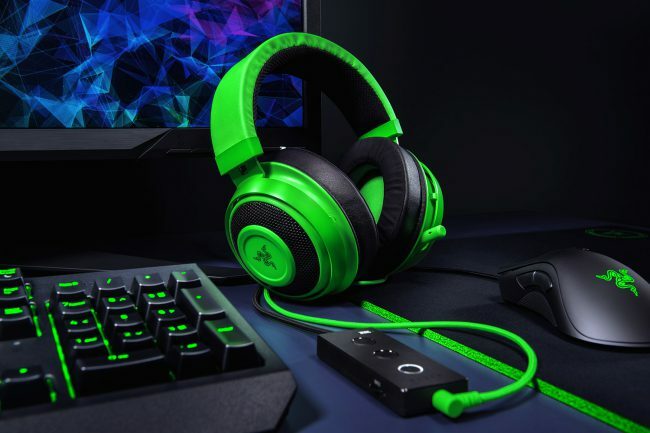 Utilizing the newest technologies, the Razer Kraken may be the best sub $100 headset currently on the market. Want to talk about sound or comfort? Both equally as important when deciding which headset you are going to choose. The Razer Kraken Tournament Edition headset has relatively large ear cups. This is excellent because these ear cups are housing two beautifully tuned 50mm drivers. These drivers deliver a full range of sound and sound great whether you are getting your game on or simply listening to your tunes. The bass is very pleasent, and the highs are very clean and crisp. utilizing the USB audion controller you are able to custimize your sound on the fly. The USB audio controller is a great feature which really does come in handy. Utilizing it do customize the way you hear sound is extremely important. Games like Rocket League that tout a wonderful sound track receive a great boost when you crank of the volume. Other games that require a much more subtle approach like Call of Duty, Razer has introduced the first-ever headset with THX Spacial Audio. In the world of sound, there is Dolby and there is THX. People have their preference, but it’s like Coke and Pepsi. You like what you like. The THX simulates the directional sound of your game as it was intended by the development team. When someone is coming from the left, you clearly hear this. When shots are being fired, you can pinpoint the direction. We as gamers can not settle for stereo sound anymore. There is a lot more to gaming than just left and right. 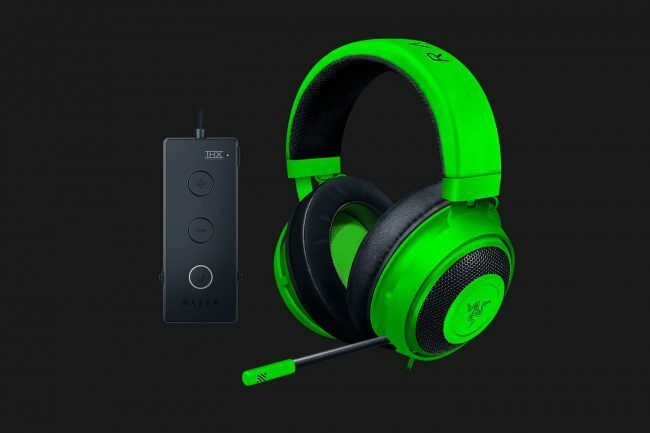 We need distance, when need highs, we need lows and Razer is giving us this gift with the THX Spacial Audio that can be turned on with the simple press of the button. 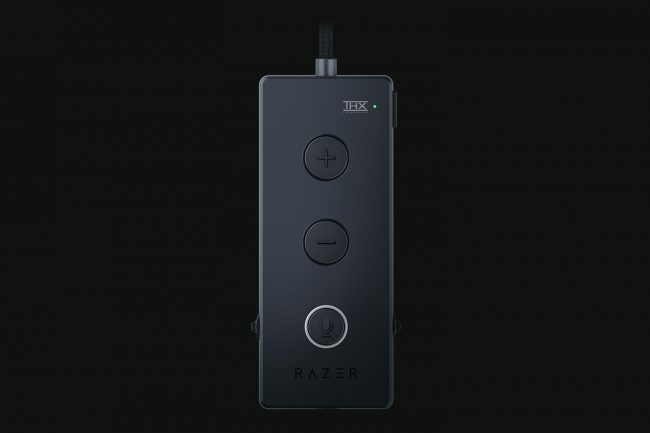 Other great features Razer has included on the USB audio controller is a quick volume control, bass control, a mute button for your mic and a game/chat balance. When playing with friends often times you crank up the volume so you can hear them, as well as the game. There have been several times where you can’t hear your team at all because of all the action taking place in game. Taking advantage of the Game/Chat balence you are back in control with an easy to use toggle. No reason to over complicate things. A headset could possess all of the latest and great technologies and sound amazing but if it isn’t comfortable then what’s the point? Fear not! Razer has got your back. The Kraken Tournament Edition feels as good as it looks. The ear cups themselves are made with memory foam which is not unusual. It’s soft, comfortable and will contour to your special head needs. What is unique is that Razer is using a cooling-gel inside of the ear cups. This actually increases the amount of time you can use this headset before you start to feel that “ear fatigue” I have mentioned in other posts. With the heat-transfer fabric, the Razer Kraken Tournament Edition may actually be one of the most comfortable headsets I have used in my years of writing reviews. Overall opinion, this headset is great. 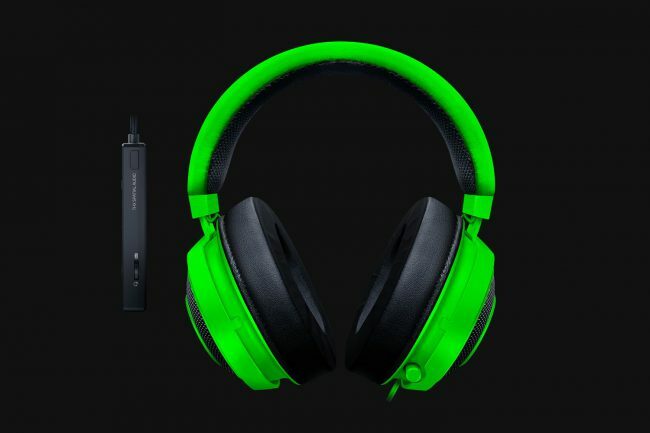 If you are a fan of Razer then you already know you need to pick up this headset. If you are in the market, this is a very suitable option, especially if you are looking to take your gaming to the next level. I can’t state how important sound is to your gaming experience. I would almost say and yes this is my personal opinion that your headset IS you greatest gaming accessory. More so than your mouse, more so than your keyboard. Yes, it is important to have great quality accessories at the end of the day. Any advantage you can get in gaming can be the difference between winning, and losing. 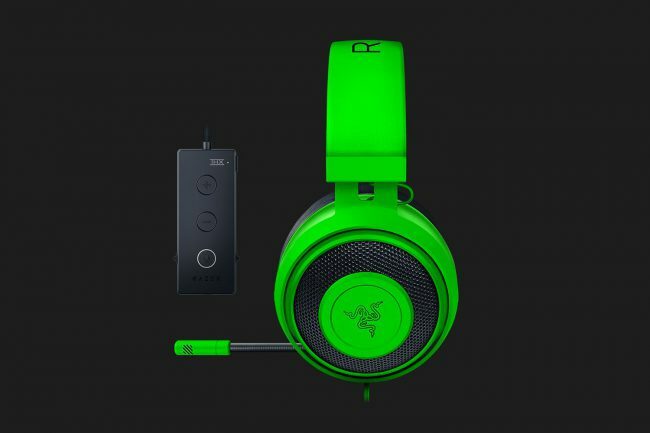 You can get the Razer Kraken Tournament Edition for only $99.99 by ordering it directly for Razer by clicking here! It’s available in Razer Green or black depending on what tickles your fancy. How can you not go green though?! It’s bold AND beauitful.